Second Visit Why do I return? Can’t shake your low back pain? Give us a call. 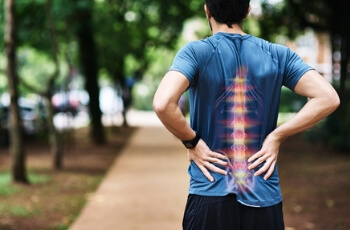 Chiropractic skeptics often pooh-pooh the idea of periodic chiropractic checkups after symptoms subside with the classic, “If it’s not broke, don’t fix it” line. This justification often results in a relapse into the original problem for countless patients. Because biomechanical changes along the spine affecting nerves and muscles don’t heal like a cut, infection or some other self-resolving health condition. Thankfully, a chiropractic care plan may produce symptomatic improvement in a matter of months, sometimes weeks. The patient is delighted, but we haven’t completed the retraining of the underlying muscles and soft tissues necessary for lasting spinal changes. That’s why the original problem is likely to return. It’s hard to know when, but it’s almost always after some major physical, chemical or emotional stress. “I thought you fixed me,” laments the returning patient. Granted, there was symptomatic improvement, but without some type of ongoing supportive care, the weakened area remains susceptible to re-injury. If that should happen to you, give us a call. You’ll be welcomed back for another episode of care. Your records will already be here, along with our genuine concern for you and your health.